Our final Halloween horror themed FSF this season was written by Jacob Lusk of pannedreview.com! Follow him on Twitter at @PannedReview! 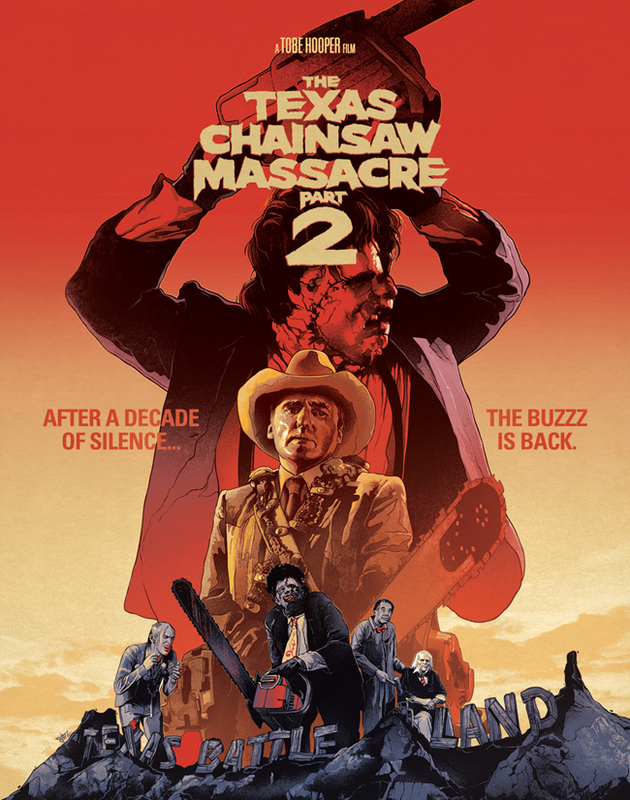 Like its predecessor, The Texas Chainsaw Massacre 2 (1986) is an acquired taste. This movie is bonkers, but that’s kind of the point: nobody goes to see a film called The Texas Chainsaw Massacre expecting a nice, quiet, tasteful experience. And even though Part 2 falls apart in the second act—where we suffer along with heroine Caroline Williams at the hands of Leatherface and his brothers—the movie boasts several genuinely scary and effective scenes. People, myself included, have for too long maligned this movie as inferior. I’m hoping they’ll give TCM 2 a second look. One of the best scenes of the movie is when we meet Chop Top, the brother who was off fighting in Vietnam during the events of the first movie. 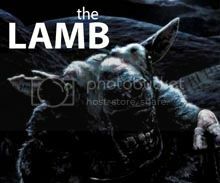 He replaces “The Hitchhiker,” the screwy wiry guy picked up by the ill-fated hippies in Part 1. William Moseley’s performance as Chop Top is other-worldly. (Moseley was cast because the director, Tobe Hooper, had been impressed by him in a short film titled “The Texas Chainsaw Manicure,” in which he imitated the Hitchhiker.) Chop Top is a sight to behold with his pale grey skin, his purple-tinted sunglasses, a Sonny Bono wig, and those red-brownish, blood-stained teeth, the teeth of a real psycho. He acts like a transplanted hippie, or more like a sociopath who’s studied hippies in order to imitate them: “Music is my life,” he coos to the terrified DJ “Stretch” (Williams), as if to impress her; while Chop Top prattles on about Iron Butterfly and other musical interests, he’s constantly scratching the metal plate in his head with the end of a coat hanger, which he heats with a handy Zippo lighter: the charge gets him off, apparently. Then, when Stretch tells him to get the hell out of the radio station (because, who wouldn’t be scared by this weirdo), he spells the exit sign out loud, like a 35-year-old child on Sesame Street: “E-X-I-T. Exit!” This is the result of sending a developmentally arrested man off to war, although he probably didn’t stand a chance even without Vietnam, what with that family of his. Chop Top is an unforgettable horror movie creation, and a prototype for Michael Keaton’s performance in Beetlejuice. But while Beetlejuice is delightfully anarchic, Chop Top is genuinely terrifying. He’s an all-American product: a damaged male, drafted into Vietnam like every other lower-class kid of his generation, and then returned to a society in which, as a white man, he has total dominion, even if the world he controls is small and invisible to everyone else. It’s this idea of the extreme edges of a free society, where people can get away with plenty if they’re invisible enough, that I find so fascinating about these movies. Although Chop Top’s appearance is the highlight of this scene, it’s also punctuated by a terrific scare. Leatherface appears, unexpectedly, chainsaw-ready, from a dark room; the conversation has been so dragged out between Stretch and Chop Top, and we’re so fundamentally creeped out by him, that we forget there’s another maniac, and this one has a buzz saw in his hands. Stretch is then chased through the radio station, and eventually trapped by Leatherface. The setting also deserves mentioning: this scene unfolds in a small radio station in the Dallas-Forth Worth area. When it opens, we hear a song called “Mind Warp,” by the Lords of the New Church, as the DJ Stretch investigates a strange noise (that old ruse). “Mind Warp” has an ominous sound to it: the background vocals are a sort of droning , cultish chant, and there’s a low-key, humming, electric riff that keeps repeating, filling us with dread as Stretch turns corners and opens doors, behind any one of which could be her doom. Caroline Williams, it should be noted, makes a terrific scream queen in this movie, and this is the first scene in which she gets to show us what she’s made of as a horror movie heroine. Williams screams like a pro, but more importantly, she’s fierce and incredibly game throughout the movie, as she’s chased by Leatherface and tied to a chair and forced to wear another character’s face as a mask and all kinds of other atrocities that are de rigueur in a Texas Chainsaw film: it’s not every actor who can endure one of them. Oooh I love the poster you found! Fantastic scene. Chop Top is truly creepy and yes, that jump scare is top notch. I remember seeing this movie and having this scene burned into my brain. You're right that Chop Top totally tricks us into forgetting that Leatherface is somewhere in this movie, and then BAM. The whole plate scratching/skin eating crap is so unsettling and disgusting. This movie truly is bonkers. The fact that the main poster is a recreation of the Breakfast Club poster is a testament to how weird the film is. Great scene and thanks for sharing it! Happy Halloween! Wearing protective clothes. Wearing proper clothes when working with a chainsaw is of utmost importance for your safety. Some items that will provide you safety include boots made up of leather or those with toes made of steel, ear plugs so that your ears remain protected from the loud noise and glasses to save your eyes from any flying debris. On the off chance that you are anticipating utilizing the saw for general around the home utilize is a certain something, however in the event that you anticipate bringing home the bacon with your new cutting apparatus is very another.